Internet has empowered specialized change in each perspective. Development in Matrimonial portal development is a live case of this. Wedding portals have empowered guests of the site to locate the ideal match for themselves. Wedding specialists can get into online business inside no time. They can build up their own particular marital entrance inside no time. Multiple types of payment options are enable to registered users. 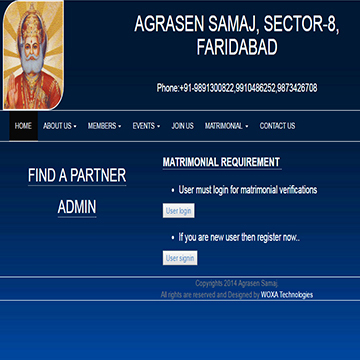 Matrimonial Portal - Administrative Section Admin panel carries a very powerful functionality. The administrator enjoys unique privileges and can also manage members account Administrator can have control over profile settings and passwords.